What do you do when you get in an accident? - PFC Insurance Center, Inc.
Do you know what to do when you have an auto accident? Do you know what information is needed? 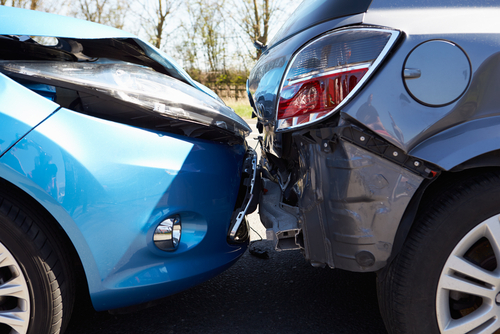 Just about everyone will be involved in an auto accident in their driving lifetime. If you are lucky enough to avoid them, consider yourself blessed! Before you ever get behind the wheel, make sure you have your insurance card. It’s not just to prove you have it when that nice officer pulls you over. 1. If possible, move all involved vehicles off the roadway. 2. Call 911 if assistance is needed. 3. Do not make a statement regarding the accident except to local authorities or your company representative. 4. Obtain the name, address, phone number and email address of each driver, all passengers, and all witnesses. 5. Obtain the name of the insurance company and policy number for each vehicle involved. 6. Note the vehicle license number, cell or home phone numbers of the person involved in the accident and any special weather conditions or circumstances. 8. On your insurance card is a phone number for claims. Call and report your claim. Also call your agent. Let them know what's going on so they can assist with the process.